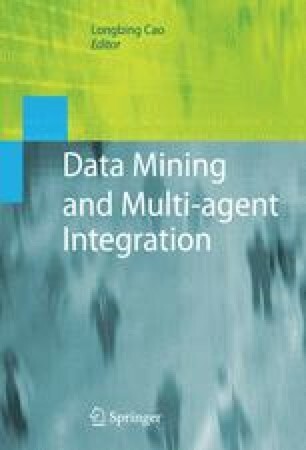 In this paper we present a Multi-Agent System (MAS) for extracting and analysing users interaction in a Collaborative Knowledge Management system called KnowCat. The proposed MAS employs Web Use Mining and Web Structure Mining techniques in order to detect the most relevant interactions of the Know- Cat users and therefore should have more weight in the Knowledge Crystallization mechanism of KnowCat. More concretely, the MAS extracts the users interaction information and analyses whether they are working in the system in an organised or disorganised way. The obtained results in this study give us evidence that organised users contribute positively in a good performance of the Knowledge Crystallization mechanism of KnowCat.